January 30, 2018 May 9, 2014 by Ada W.
Note: This guide only applies to Filipinos residing in the Consular Jurisdiction of Tokyo (Akita, Aomori, Chiba, Fukushima, Gunma, Hokkaido, Ibaraki, Iwate, Kanagawa, Miyagi, Nagano, Niigata, Okinawa, Saitama, Shizuoka, Tochigi, Tokyo, Yamagata, and Yamanashi). For Filipino residents of Osaka, Hokkaido, or Okinawa, please refer to this page and contact the right person for the process. So, your Philippine passport is expiring? Well get ready. 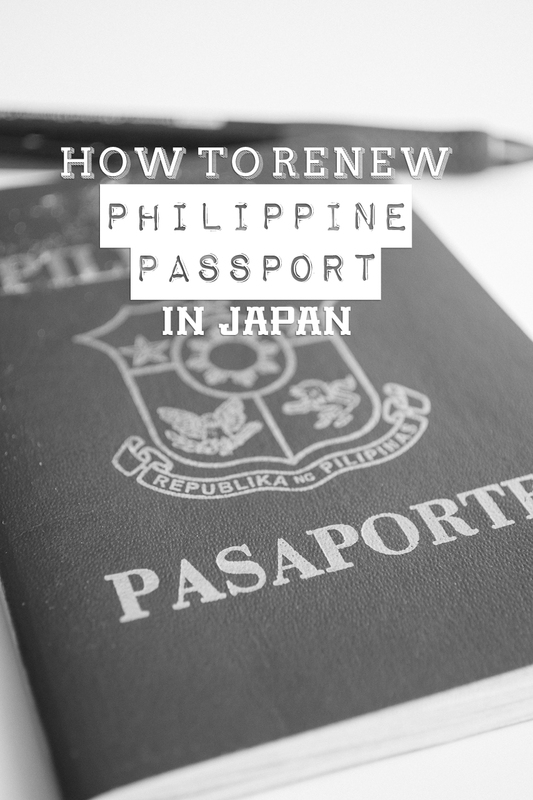 Renewing Philippine passports in Japan takes up to 2 months processing! Not that you will process it for 2 months, but you will receive your new passport after 2 months. However, it doesn’t mean that you can renew your passport 2 months before it expire. A big NO NO. System issues or errors happen quite some times. That’s why it is recommended that you start renewing your passport 6 months prior to its expiration. I just renewed my passport in the Embassy of the Philippines in Tokyo, Japan (Roponggi Hills), so let me share you how I did it and how was my experience. 1. Make an appointment online. To cut to the chase, you can make an appointment online by going to the Philippine Embassy – Tokyo website. All you need to do is follow the instructions and boom, you will receive instructions in your email and choose which dates you wish to show up at the Embassy. 2. Prepare and gather the required documents. The full requirements for Philippine Passport Renewal are included in the email instructions. Read it carefully. You don’t want to go back and forth at the Embassy just because you missed a single document. Good luck with that. There is also an online version of requirements for Passport Renewal which I find easier to understand. 3. Show Up at the Philippine Embassy in Tokyo. The Embassy of the Philippines in Tokyo is situated in Roppongi Minato-ku, Tokyo or you can follow directions from their website. Arrive on time and show your Online Application Form to the guard. First, you will be instructed to proceed to Window 6 to submit the required documents. Next, wait until they call you for Personal Appearance and Biometric Data Capture. Lastly, pay the necessary fee for passport renewal (￥6,900.00). There was a loooong waiting line. It was a very slow process and staff were not proactive. However, during my Biometric Data Capture, the lady admitted that they were having system issues which do not normally occur and she apologized. It was already 4 p.m. when she took my Biometrics. I thought that maybe one of the applicants has balat sa puwet because of the system issue timing. My overall experience was okay. Probably if there was no system issue, I would’ve finished in less than 2 hours.